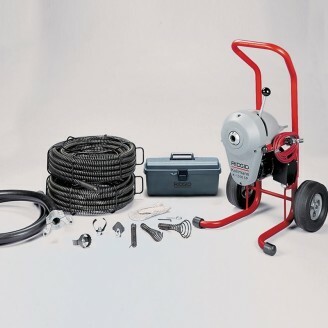 RIDGID Machine with A-17-A Adapter and A-30 Cable Kit. 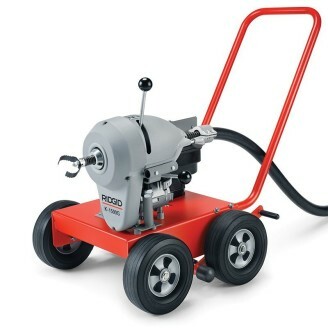 RIDGID Machine with A-17-B adapter and A-30 cable kit. 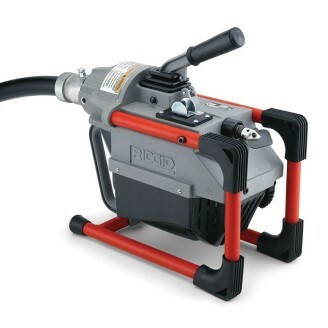 RIDGID Machine, with A-17-A Adapter, A-17-B Adapter and A-30 Cable Kit. 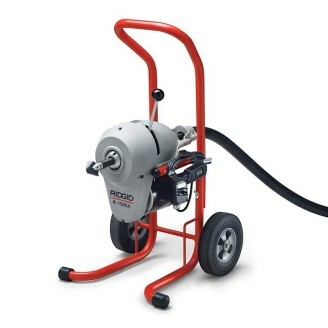 RIDGID Machine with A-1 RIDIGD Drain Cleaning Mitt, A-12 Pin Key, and A 34-12 Rear Guide Hose. 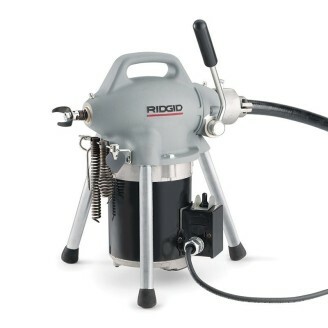 RIDGID Machine with A-1 RIDIGD Drain Cleaning Mitt, A-12 Pin Key, and A-34-12 Rear Guide Hose, Plus SE Tool Kit. Machine with A-1 RIDIGD Drain Cleaning Mitt, A-12 Pin Key, and A 34-12 Rear Guide Hose. Machine with A-1 RIDIGD Drain Cleaning Mitt, A-12 Pin Key, and A-34-12 Rear Guide Hose, Plus SE Tool Kit. 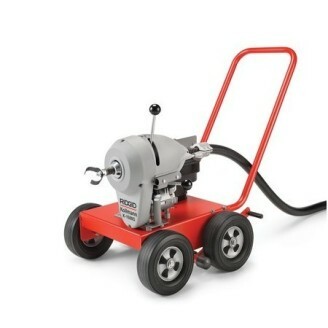 Machine Only with A-1 RIDGID Drain Cleaning Mitt, A-12 Coupling Pin Key and A-34-10 Rear Guide Hose, A-369-X 1¼" (32 mm) Jaw Set.